You can grab your favorite round in .999 purity from Silver Bullet Bullion. Ball too hard and fines may be imposed. You’re definitely paying a premium for the gimmick… looks to be between 20% – 30% depending on the size of the round you’re buying. 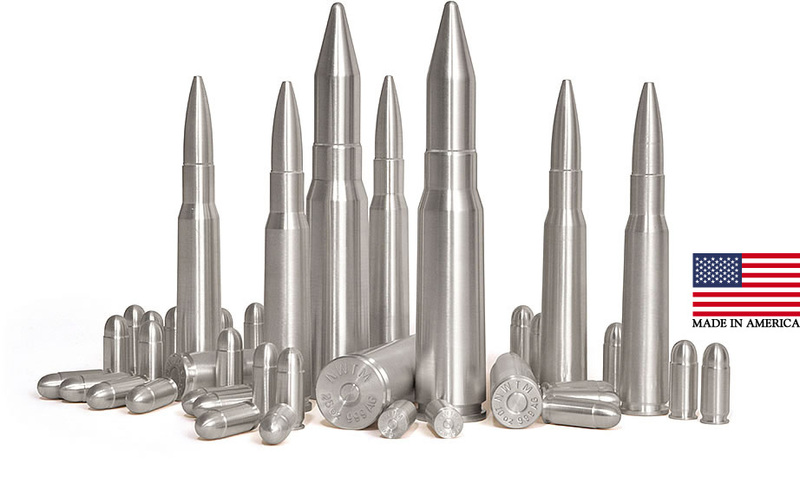 Any real silver hoarder isn’t obviously buying these, but cool idea for a collectable to get someone their favorite round… as long as that’s either .45 ACP, .308, 50 BMG, or 20mm. Hell you can even stab a sparkly vampire or a werewolf with one of these if you need to kill one. Just make sure you don’t have any of the other Silver Bullet (Coors Light) in your system at the time… try explaining that in court. I actually buy my bullion monthly from NWTM. I think it’s pretty cool. I know a guy who has a couple gold coins included in his NFA trust so that whoever has to do transfers after he’s gone will have an easily liquidated currency to pay for them. I like the idea of doing that idea with a couple .50 BMG rounds or a single 20 mm. They should make these as snap caps. That’d make them pretty *AND* functional.